TORRANCE, Calif. /California Newswire/ — DocMagic, Inc., the premier provider of fully-compliant loan document preparation, regulatory compliance and comprehensive eMortgage services, announced that on Thursday, May 24, the entire company participated in Red Nose Day – an effort to help end child poverty both in the U.S. and in some of the poorest communities in the world. Red Noses can still be purchased from Walgreens retail outlets through June 2, 2018 in support of the fundraising campaign. Red Nose Day is a fundraising campaign run by the non-profit organization Comic Relief Inc., a registered U.S. 501(c)(3) public charity. In 2015, Red Nose Day officially launched in the U.S. with a mission to bring people together to have fun, raise money, create awareness and help change the lives of children living in poverty. Globally, the event has raised over $1 billion since its launch in the U.K. in 1988. 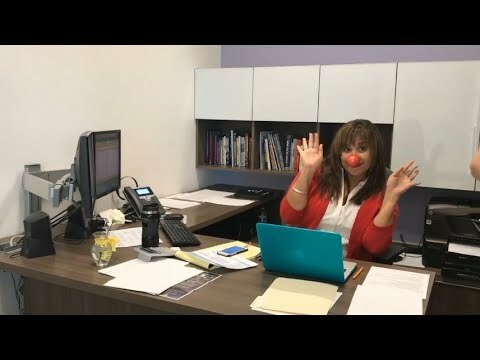 Pictures of DocMagic employees supporting Red Nose Day can be found on the company’s Facebook page and a video can be found on YouTube. The official event was televised by NBC on Thursday, May 24 at 7:00 p.m. PDT. A number of different celebrities and comedians showed to support Red Nose Day, which included Julia Roberts, Jack Black, Jennifer Garner, Kelly Clarkson, Ben Stiller, Sarah Silverman and Marlon Wayans, to name a few. DocMagic also participates in other charitable events and community service activities throughout the year. The company has delivered thousands of its ‘Sergeant Doc’ themed bunnies to the children of military service members. Plans are currently underway for additional giveaways to various charities and causes this summer. DocMagic, Inc. is the leading provider of fully-compliant loan document preparation, compliance, eSign and eDelivery solutions for the mortgage industry. Founded in 1988 and headquartered in Torrance, Calif., DocMagic, Inc. develops software, mobile apps, processes and web- based systems for the production and delivery of compliant loan document packages. The company’s compliance experts and in-house legal staff consistently monitor legal and regulatory changes at both the federal and state levels to ensure accuracy. For more information on DocMagic, visit https://www.docmagic.com/. Red Nose Day is a fundraising campaign run by the non-profit organization Comic Relief Inc., a registered U.S. 501(c)(3) public charity. Red Nose Day started in the U.K., built on the foundation that the power of entertainment can drive positive change, and has raised over $1 billion globally since the campaign’s founding in 1988. Red Nose Day launched in the U.S. in 2015 with a mission to raise money and awareness to end child poverty, and has raised over $95 million to date for the cause. Money raised goes to the Red Nose Day Fund, which supports programs that keep children in need safe, healthy and educated, both in America and abroad. Beneficiaries include the Boys & Girls Clubs of America; charity: water; Children’s Health Fund; Covenant House; Feeding America; Gavi, the Vaccine Alliance; Laureus Sport for Good; National Council of La Raza; Oxfam America; Rotary/End Polio Now; Save the Children; and The Global Fund. Since launching in the U.S., Red Nose Day has received generous support from millions of Americans, hundreds of celebrities and many outstanding partners, including Walgreens, NBC, Mars, and the Bill & Melinda Gates Foundation. For more information, visit the Red Nose Day website at www.rednoseday.org. Follow @RedNoseDayUSA on Twitter and Instagram, and on Facebook at https://www.facebook.com/RedNoseDayUSA.